Porsche 911 S rally car, year 1970. 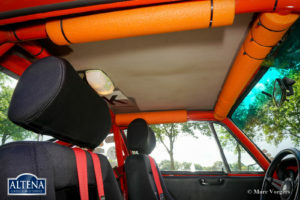 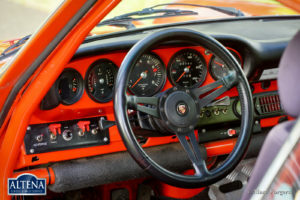 Colour orange (Blood Orange) with a black rally interior. 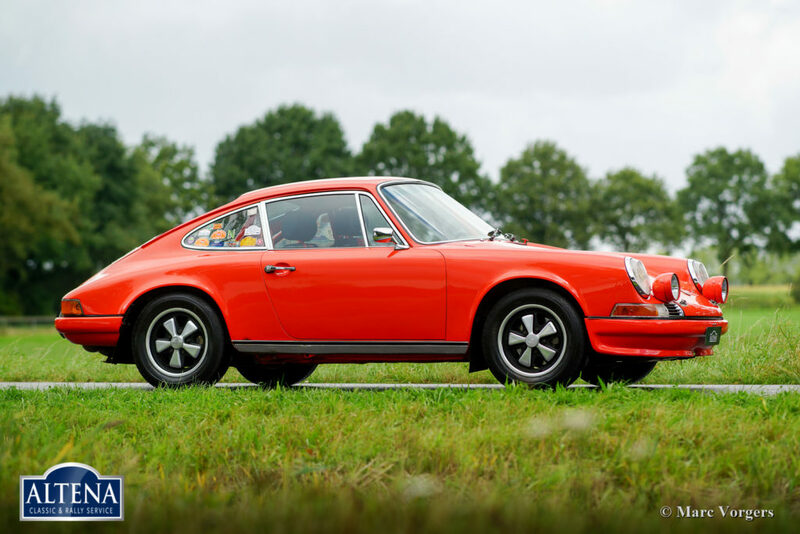 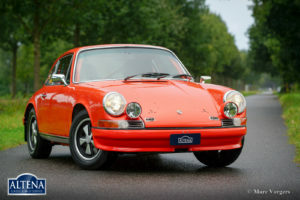 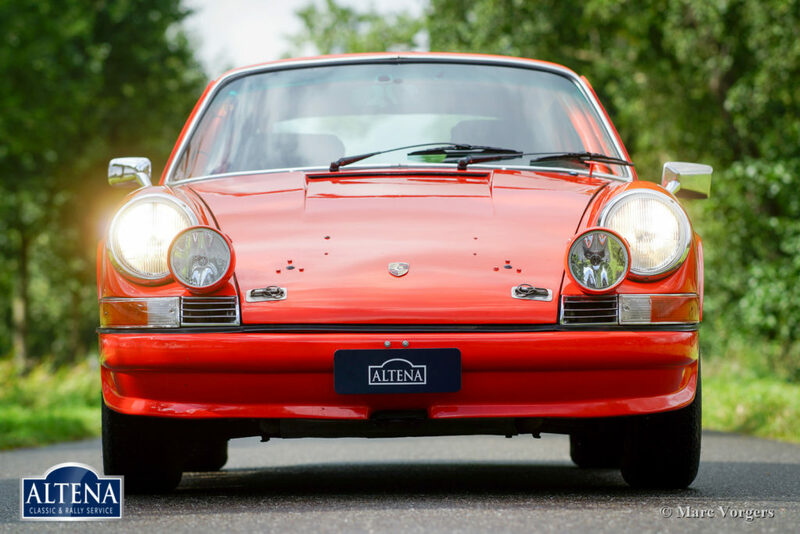 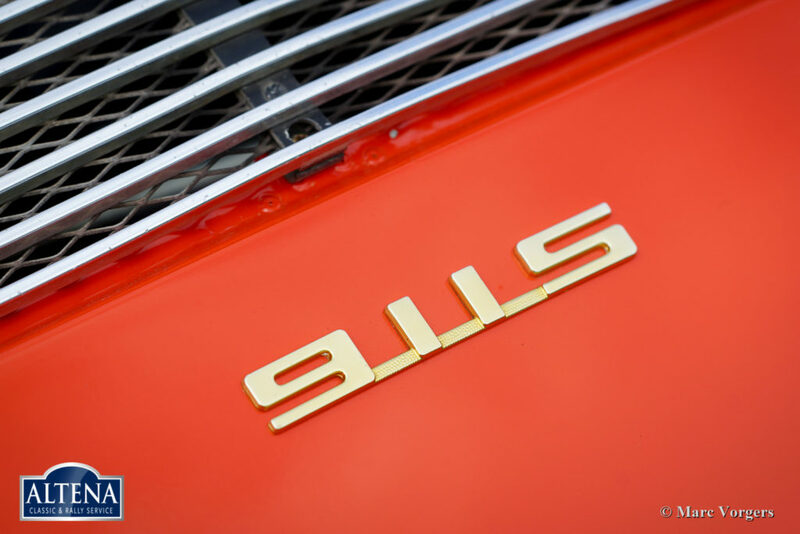 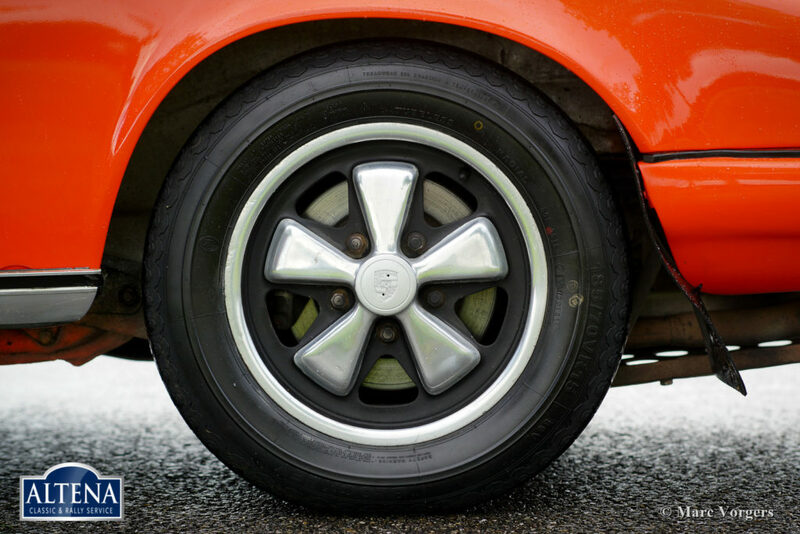 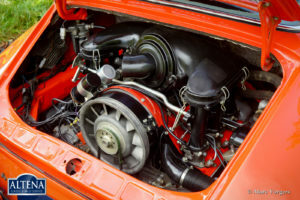 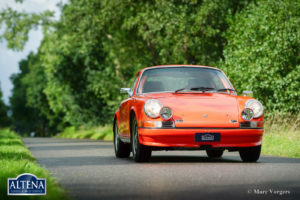 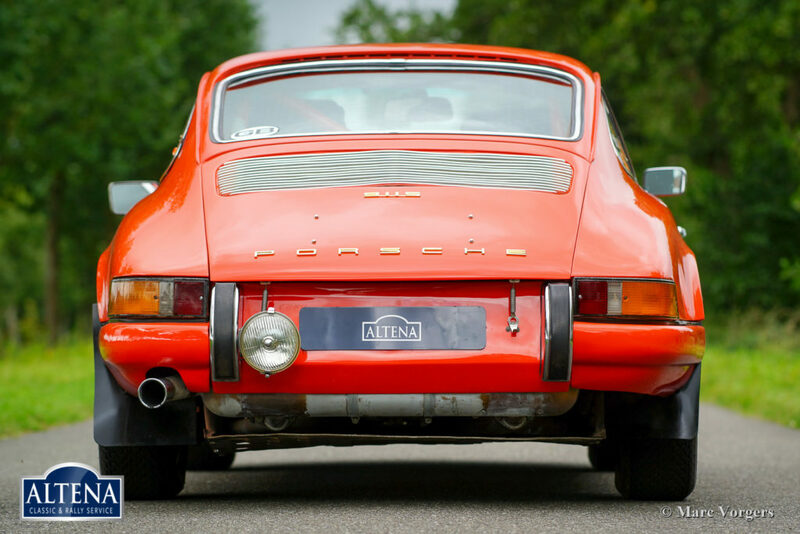 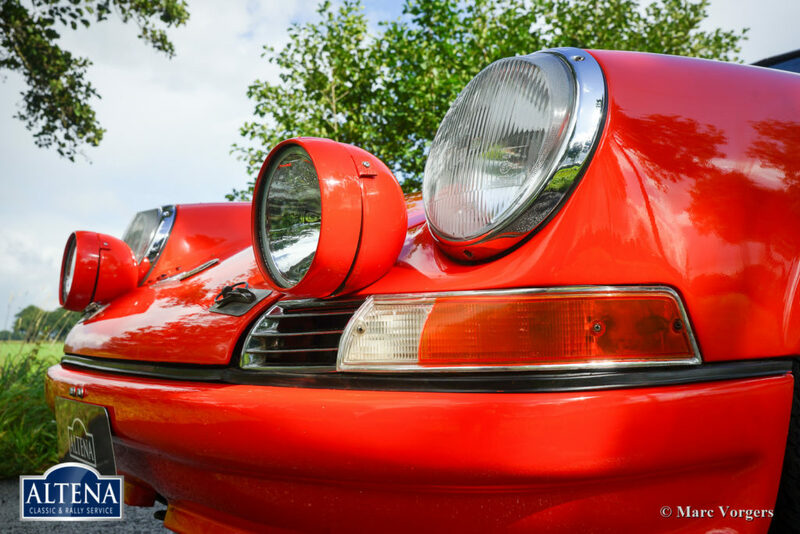 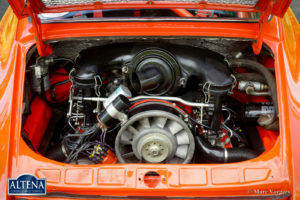 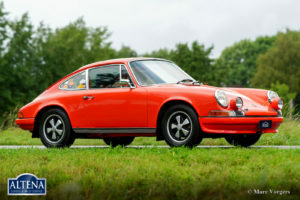 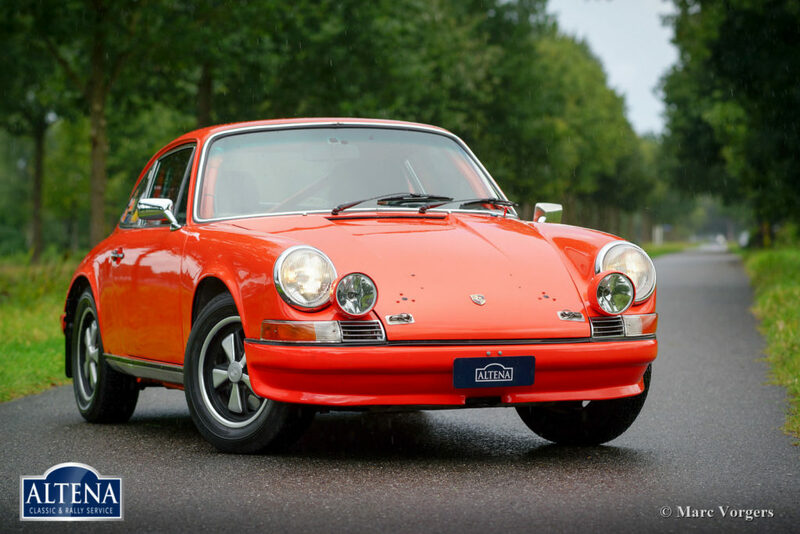 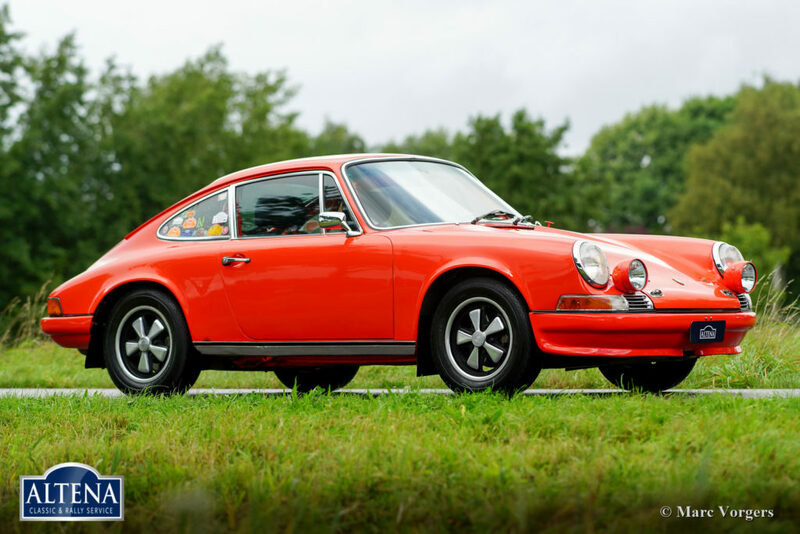 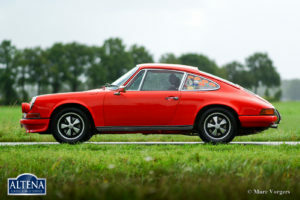 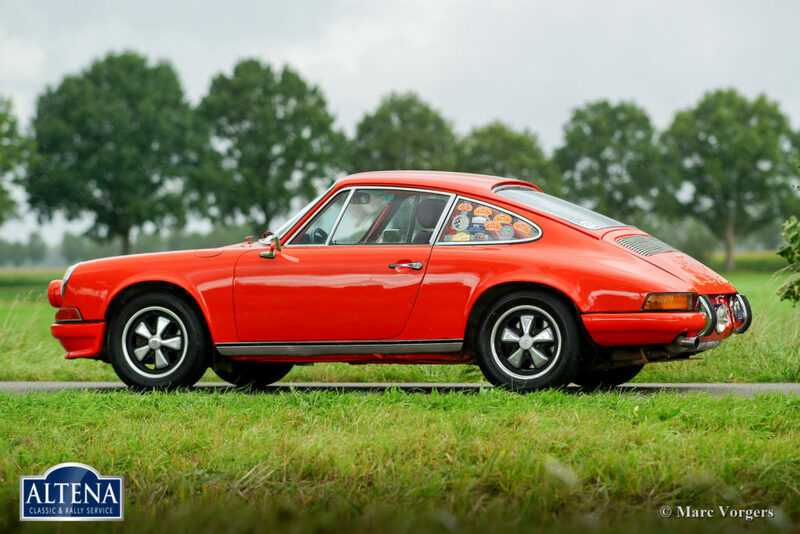 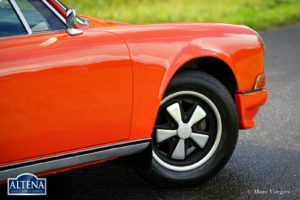 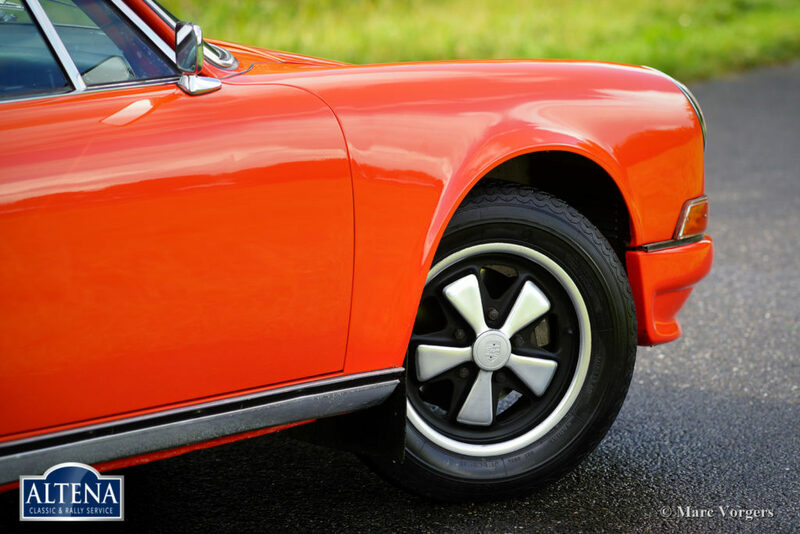 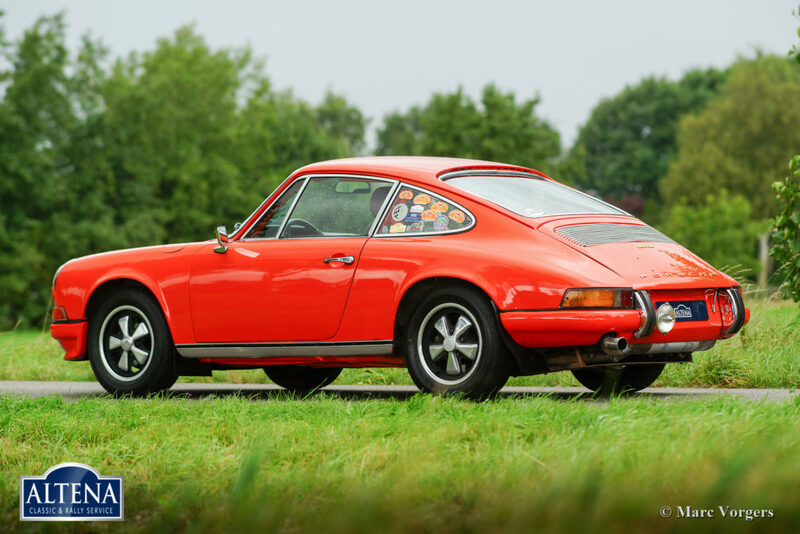 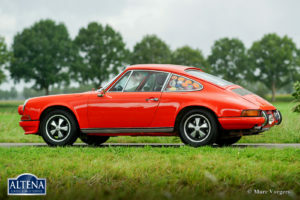 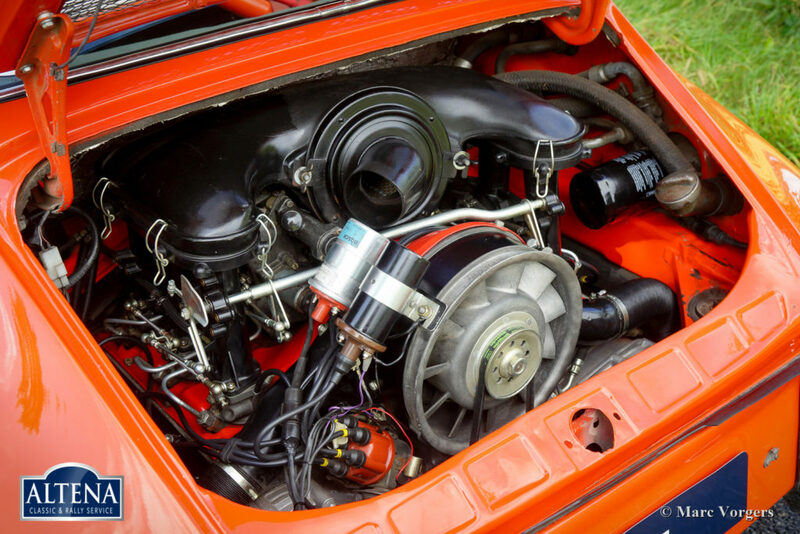 This 911 is an original 2.2 litre S (F-model) which is fitted with a 2.4 litre engine (number 6133075X). 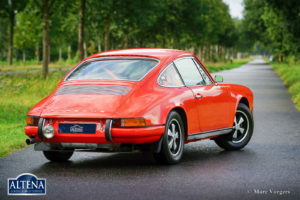 A Porsche certificate is present. 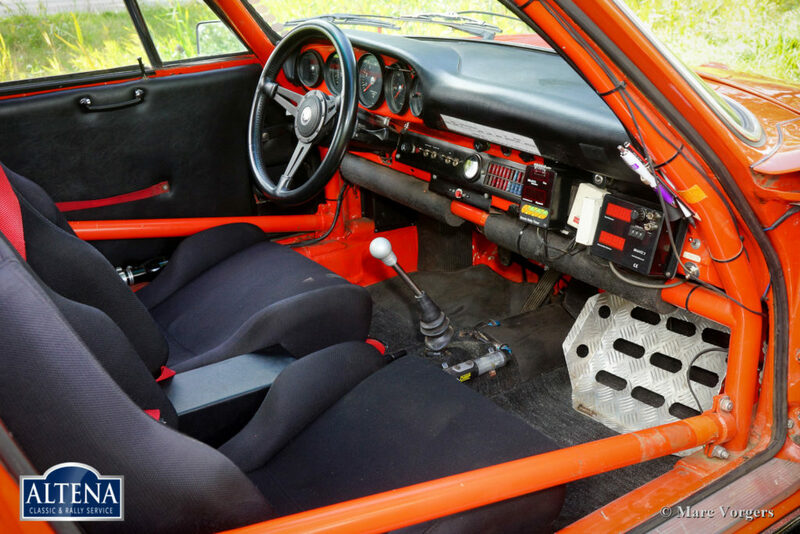 This impressive Porsche rally car is in very good condition with some signs of use: mechanically superb! 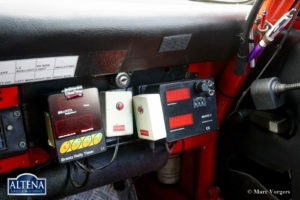 The car was extensively rally prepared in the past. 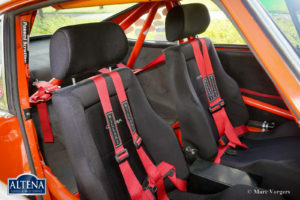 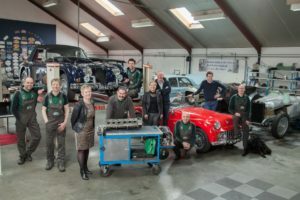 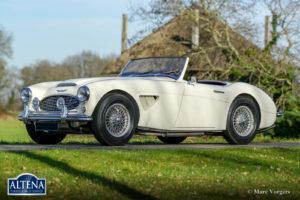 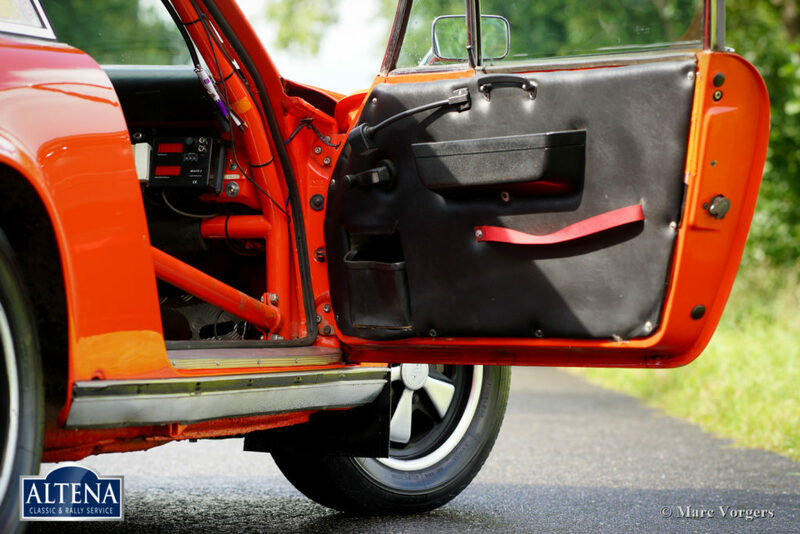 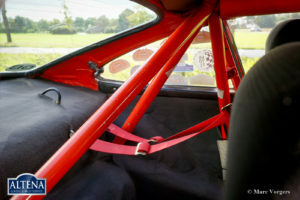 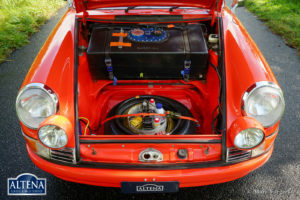 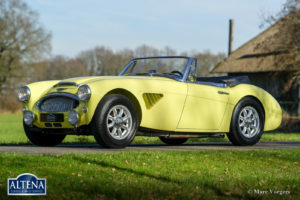 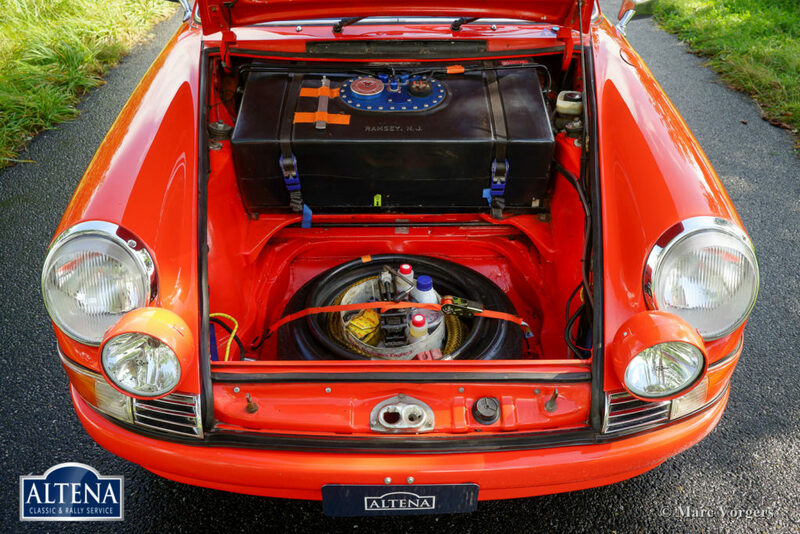 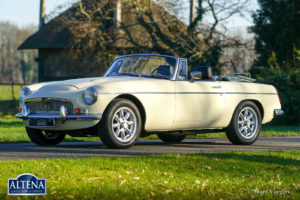 The car is (amongst others) fitted with a full roll-cage, special sports seats, additional spot-lamps at the front, Tripmasters, light weight petrol tank, GRP bumpers and bonnet (the original bumpers are present) and four-point safety harnesses. In 2017 the engine was fully overhauled. 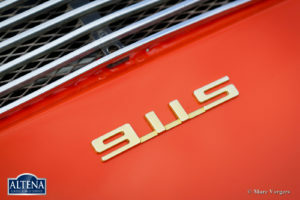 Very much work has been done to this 911, this is perfectly documented with history and many invoices. The invoices add up to about 36.000 Euro. This Porsche is well known in the historic rally scene. 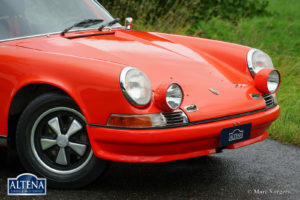 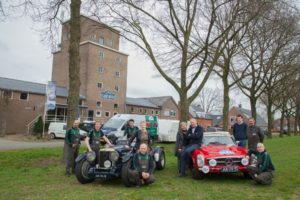 Car and owner have participated in many rally’s like the Tulip Rallye, Winter Trial, Tour of Wessex, Devils own Rally, Three Legs of Man Rally, Tour of Cheshire, Maroc Classic International Historic Rally and the La Carrera Mediterrana. 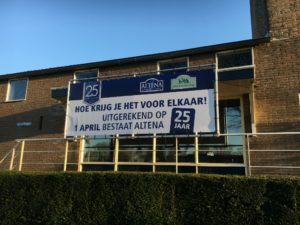 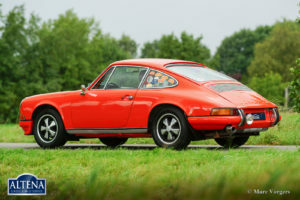 The Porsche has won several events like the Tulip Rallye in the year 2010. This impressive rally car is ready for every new challenge!